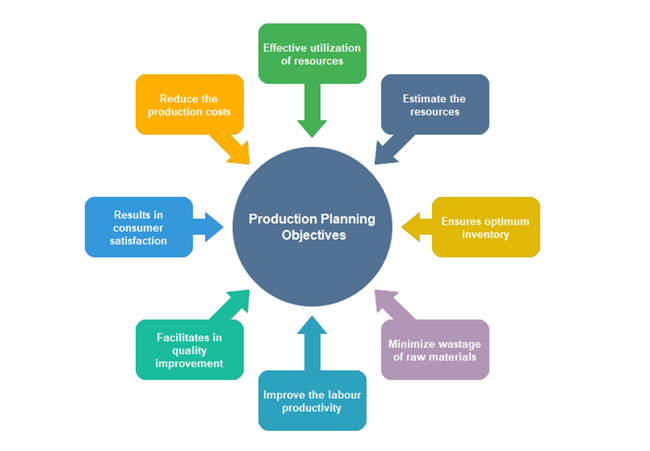 Description: The production planning objectives circle spoke diagram lists eight main objectives in the process of production planning. Reducing production costs and minimizing wastage of raw materials are included. Free to download and use this diagram to inspire you in making a production plan.